A few weeks ago Saran Anderson’s book A Spinner’s Book of Yarn Design arrived, and I have been pretty glued to it ever since. Her descriptions work well for the way I think, and I have successfully spun some beautiful beehives on nicely balanced singles and my latest obsession, thick wool bouclé. I have not yet spun bouclé with mohair (can’t wait to get super loopy with it), but I am pretty pleased with my attempts with a thick wool single so far. The top photo is from her book to show how it should look and the bottom two are my first attempts..I’m getting there, don’t you think? If anyone has suggestions for opening the loops more, I would love it!! And the book…awesome. Tons of info, instructions, and ideas. Probably my fav spinning book so far. 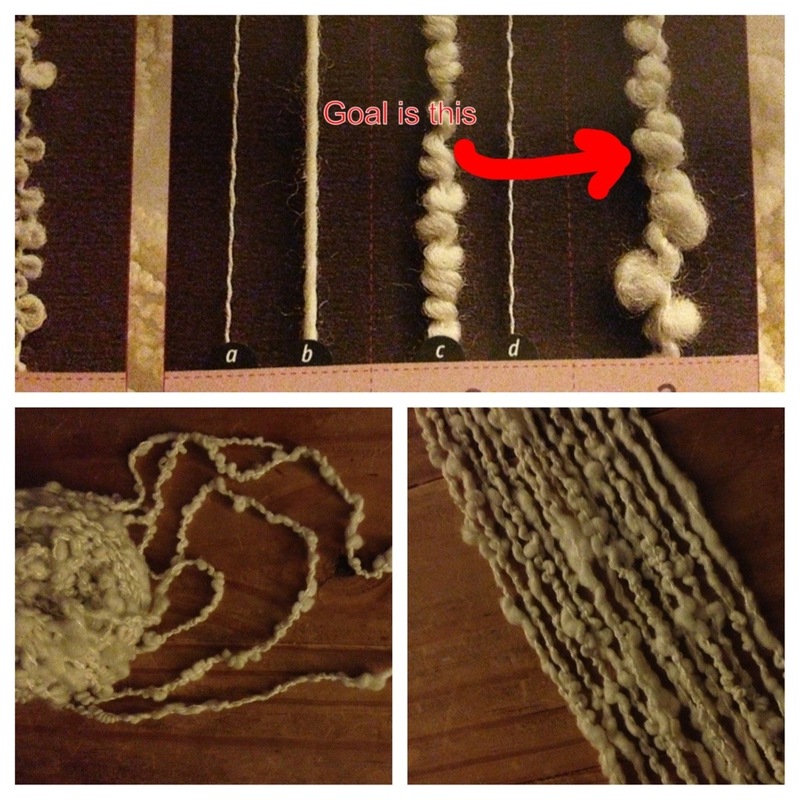 This entry was posted in art yarn, Spinning, Yarn as art and tagged art yarn, knitting, Spinning yarn by Leah. Bookmark the permalink.